For many of us, dealing with split ends can be a constant struggle. Those unsightly dry, brittle and frizzed ends can ruin even the best of hair days. And while chopping them off may be the first solution that springs to mind it’s not your only option. 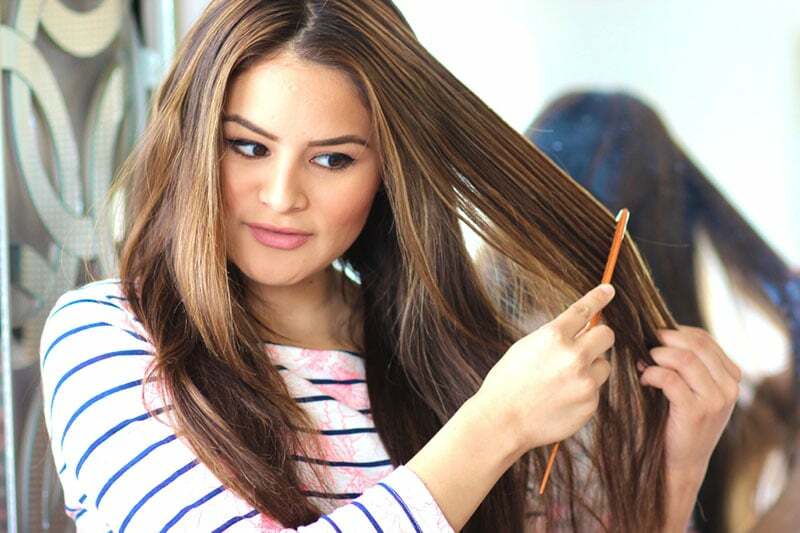 Save your long hair and keep it healthy with these simple prevention and treatment tips. 2 What Causes Split Ends? Often resembling a ‘Y’ shape, split ends are a result of hairs splitting along their lengths. They occur due to damage to the strand and can lead to further breakage. Unattractive and frustrating, split ends often cause hair to look fried, dull, thin and uneven in length. Appearing as a generic split on the end of the hair, loop in the middle of the hair strand, or repetitive splits on the same strand, split ends can cause tangling and be hard to get rid of. Split ends occur when external stressors cause the hair’s outer protective layer to wear away. These external stressors can include heat styling, salon chemicals, sun rays, pollution, hot water and more. Once the hair’s outer layer is compromised, the internal structure becomes exposed, leaving the hair weak, dry, damaged and (you guessed it) with split ends. Prevent split ends by avoiding these stressors, having regular trims and being kind to strands. Although the only true way to banish split ends is to cut them off, there is a range of methods and products which can help repair and prevent split ends in between salon appointments. While conditioning hair in the shower, gently run a wide-tooth comb through strands. This will help de-tangle hair in a way which prevents the typical hair breakage seen from brushing towel-dried hair. If you feel you must brush your hair, do it before your shower to minimise post-shower breakage. Also, take care while shampooing hair. Lather hair from the crown downwards in a gentle zigzag motion. Avoid bunching hair up as this can create tangles which lead to breakage. Heat styling can provoke split ends but if you can’t go without blow-drying, at least make sure you’re using good quality tools. Bargain heat tools may be friendly to your wallet but they won’t be friendly to your hair. Often dangerously overheating, cheap styling tools can burn ends into splits. Choose brands you know and trust and don’t be afraid to spend a little extra to keep your hair in top shape. 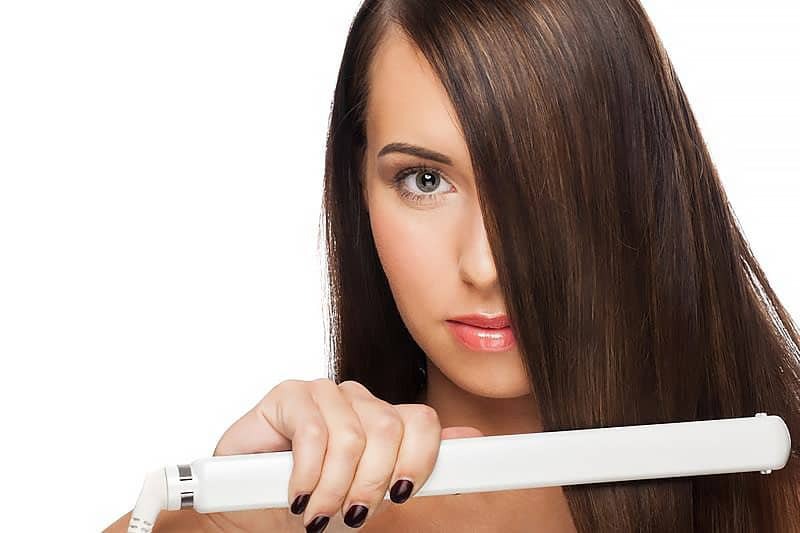 Blow-drying the right way is essential to preventing the creation and further damage to split ends. Allowing hair to dry naturally is the preferred option to reduce damage but is not always possible. 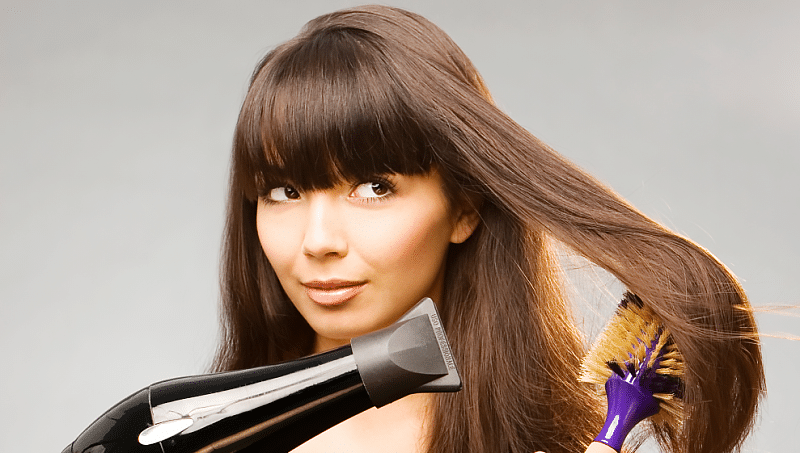 If you do need to blow-dry, use a nozzle to control the direction of air. Dry hair in a downwards motion before sectioning off and drying thoroughly with the aid of a round barrel brush. 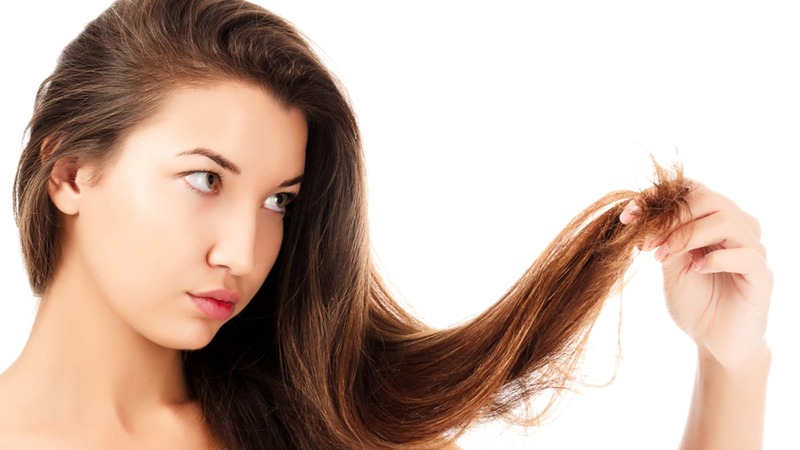 Nutrients build the proteins which make up hair. Therefore, including the right nutrients in your diet will help keep your hair healthy and strong. Folic acid aids in the production of red blood cells which power the growth of hair. Green leafy vegetables, wheat, soybeans, broccoli, and oranges are all great sources of folic acid. Biotin strengthens hair through its metabolism of fats, carbohydrates, and proteins. It is found in brown rice, lentils, soybeans, peas, sunflower seeds, and walnuts. Conditioners which rinse out in the shower may be okay for regular hair but if you have split ends, then you’re going to need to use a leave-in conditioner. A leave-in conditioner will add a much-needed layer of protection to your damaged hair and help keep it fortified throughout the day. The extra lubrication will prevent split ends and breakage. If you’re serious about getting rid of your split ends, then you must limit the damage caused to your hair by salon visits. Hair colouring, highlights, straightening, and blow-drys can all damage hair to the point of split ends. Limit treatments as much as possible and refrain from washing hair for the following two days (this is when strands are most likely to split). Don’t forego the salon all together as regular cuts and trims are instrumental in preventing and ridding split ends. Haircare has come a long way in recent times and treatments are the amazing proof. Easy to get your hands on and use, these little packages of hair repair are a must for every woman’s bathroom. Split end treatments come at many brands and price points. We’ve picked out eight products to help you save your strands quickly and easily. If you’re a little bit strapped for cash or prefer to go an all natural root, why not try whipping up your own split ends remedy at home? There are some effective concoctions which can be simply made with ingredients found in the home. Try a simple hair mask made from combining one avocado, two tablespoons of egg whites and three tablespoons of olive oil. Whip all ingredients together until thoroughly mixed and apply to hair. Leave the mask on for 45 minutes before rinsing thoroughly and washing hair with a natural shampoo. And if that’s too much work for you, try spraying beer over your hair! The proteins and sugar in the beer will help revitalise your strands.